Property and asset division is one of the most complicated aspects of a divorce. The situation becomes even more complex when retirement, 401k accounts and pensions are involved. Many individuals mistakenly believe they are able to keep full ownership of their personal retirement accounts after a divorce. However, this is very often not the case. Because of the complications with retirement accounts and divorce, it is essential to be represented by a family law attorney with particular experience in this area of the law. The divorce and family law team at Mevorah Law Offices LLC has successfully represented clients in the Chicago area and throughout Illinois for over 35 years. Our award-winning attorneys have extensive experience with even the most highly complex divorces involving issues such as retirement, 401K accounts and pensions, debt division, bankruptcy, family-owned businesses, tax consequences and many others. Our attorneys are honest, compassionate, responsive and down to earth, and we aggressively advocate for the interests of each client we serve. We offer free consultations, extended evening and weekend hours, and we promptly respond to all client inquiries so you always know what is happening with your case. When a marriage is dissolved, all property that was acquired during the marriage is subject to fair and equitable division, including personal retirement accounts. 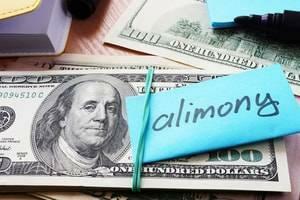 The situation becomes more complicated if one or both spouses brought existing 401k accounts and pensions into the marriage and these accounts grew in value during the marriage. In such cases, it is important to accurately determine what percentage of the account is marital property and what percentage is non-marital. In most cases, early distributions from a retirement account will incur a tax penalty. To avoid such penalties, a qualified domestic relations order (QDRO) or Qualified Illinois Domestic Relations Order (QILDRO) (for public employee pensions) must be prepared. QDROs and QILDROs are highly technical documents that must be worded very carefully to stay in compliance with all federal and state laws and ensure there are no tax problems down the road. During divorces involving retirement, 401k accounts, and pensions, it is important to have experienced counsel in your corner so you can emerge from the divorce in the best possible financial position. 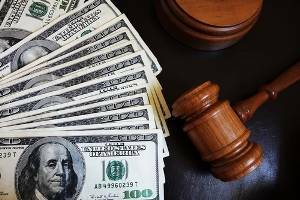 At Mevorah Law Offices LLC, we understand the stress and financial worries divorcing couples face, and we work hard to make the legal process as smooth and seamless as possible. Our lawyers are skilled litigators inside the courtroom and strong negotiators outside of court and we put our experience to work to bring your case toward a positive outcome. Contact our office today at 630-932-9100630-932-9100 for a free consultation with one of our skilled divorce attorneys.